It is NFL tradition for rookies to pay for the team dinner during the season’s Rookie Night of the bye week, but DE first-year Shea McClellin, who grew up on a farm off Chicken Dinner road, was not expecting the Chicago Bears to rack up a $38,000 tab. Lucky for McClellin, the $38,000 check was a fake planted by team veterans. “I saw it, and I was like, ‘I don’t know how I’m going to pay for this.’ I don’t think my debit card can go that high,” McClellin said. The total price of the dinner, which was held at Mastro’s Steakhouse in Chicago, was about a third of the fraud check. Israel Idonije tweeted a picture of the bill with the hashtag #RookieNight. While McClellin’s bill was only a prank, other rookies were not so fortunate. 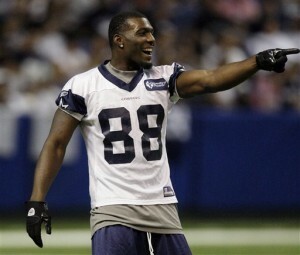 In 2010, the Dallas Cowboys stiffed rookie Dez Bryant with a $54,000 bill for refusing to carry veteran Roy Willams’ pads after practice. Dallas Cowboys rookie Dez Bryant caught a lot of flack during NFL training camp after he refused to carry veteran Roy Williams’ practice pads. The Cowboys got their revenge on Bryant after they stuck the rookie with the $55,000 bill at a steakhouse. The team was out to dinner at Pappas Bros Steakhouse in Dallas, with many of the teammates taking to Twitter to boast about the food. Since the July hazing scandal, Bryant has tried to make nice, buying his fellow receivers Air Jordan Olympic 7s. Bryant even gave Williams the Madden NFL 11 video game as a peace offering.